September is “National Bourbon Heritage Month” across the U.S.A. as the U.S. Senate declared September as “National Bourbon Heritage Month” back in 2007. In celebration of this great American spirit, we thought it would be fun to interview some of the key personalities in the bourbon world — to accomplish this we partnered with a loyal Florida customer (and prolific beer and spirits blogger) Rob Steward. Rob describes himself as a passionate beer junkie that started wandering into the spirits aisles. Rob contributed some great questions and and we received some fun and informative responses! 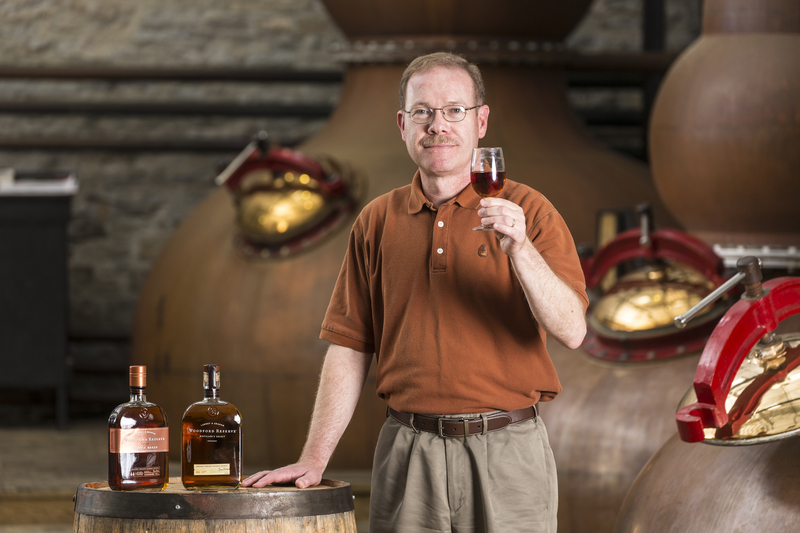 Rob’s interview is with Chris Morris, Master Distiller at the Brown-Forman Corporation’s Woodford Reserve distillery in Kentucky. 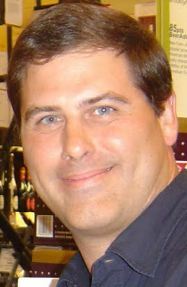 Chris also serves as their global brand ambassador and is an avid historian of bourbon and Kentucky heritage. The oldest and smallest distillery in Kentucky traces its origins to 1797 when Elijah Pepper began distilling in Woodford County. This National Landmark crafts Woodford Reserve Distiller’s Select, the official bourbon of the Kentucky Derby! Rob: I understand the former distillery name was Labrot & Graham and it’s very interesting that you tie your bourbons to that history on your bottles. Where does the name Woodford Reserve come from? CM: Our distillery site is on its 4th name over 200 years of distilling activity. From 1812 until 1838 it was the Elijah Pepper farm, grist mill and distillery, one of thousands like it scattered over Kentucky. Pepper’s son, Oscar, built our current distillery building in 1838 and named it after himself, The Old Oscar Pepper Distillery. His son, James, sold the operation to Labrot & Graham in 1878. It operated on and off under that name for 126 years. Our parent company, Brown-Forman, purchased the distillery and renamed it, “Woodford Reserve”, after the county in which it is located – Woodford County, Kentucky. It follows the Scottish single malt distillery tradition of naming the distillery after its location. Rob: I think the history of your distillery is very interesting and the fact that it’s a National Historic Landmark if very cool. What do you think the founders of the distillery would do and say should they magically start working for the distillery tomorrow? Would they need years of lessons? Would they be shocked or impressed? Would they immediately try to innovate new products? Oscar Pepper and his distillery team would be amazed at how we have modernized the processes they used to craft bourbon. They would recognize them in the broadest sense – The Five Sources of Bourbon Flavor (grain recipe, water, fermentation, distillation and maturation) – have not changed, but the way they are applied have. They ground their grains with stone grist mill as opposed to a modern hammer mill. They mashed by hand in small mash tuns – adding buckets of water boiled over and open fire, and stirring in the “cracked” grain by hand. Today we boil in the cooker with steam heat and drop grain in from the scale hoppers. 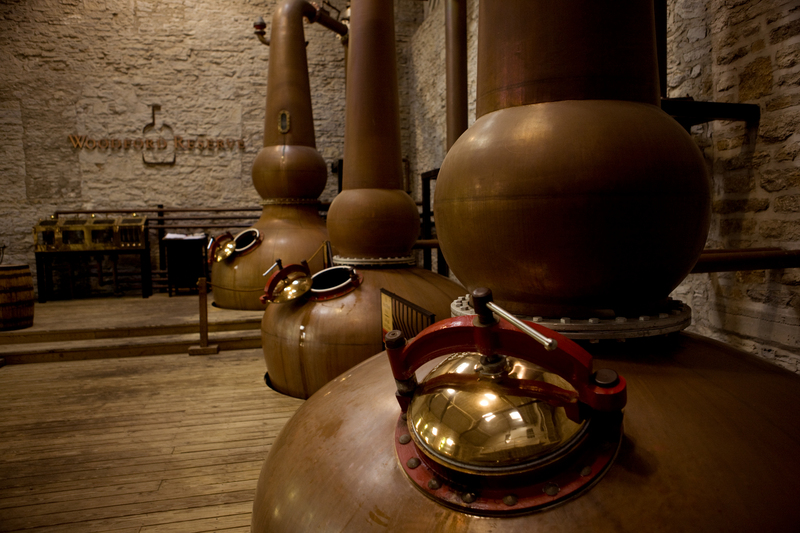 They distilled in small pot stills that were heated over open wood fires. Today we use pot stills 20x larger that are heated by steam coils. They worked all day to produce 6 to 12 gallons of whiskey while we craft over 1000 gallons a day. They matured their barrels in small, single story warehouses. Today we mature in multi-storied open rick warehouses (patented in 1879) that hold thousands of barrels. Oscar Pepper sold his product by the barrel, never bottling it for sale. Today we have a modern, automated bottling hall. I think it is a safe bet to say they would have needed comprehensive training. Rob: I’m a craft beer guy turned spirits enthusiast. I know that Woodford Reserve barrels are used in aging some craft beers and that Woodford Reserve has even gone as far as to donate barrels to a group of home brewing clubs. What do you think about the bourbon barrel-aging trend within craft beer circles? Have you had the opportunity to try some beers that were aged in your barrels? Were you able to pick up distinct Woodford Reserve nuances or was it just a more generic bourbon flavor? CM: We are flattered that a number of craft breweries seek out used Woodford Reserve barrels for their barrel aged products. I have been fortunate to try a number of them and they have all been delicious. While you don’t taste Woodford Reserve specifically in them you can taste the impact that our barrels make. Our barrels are uniquely crafted according to flavor focused standards at the Brown-Forman Cooperage. Brown-Forman is the only spirits company in the world that makes barrels for its own brands. The Woodford Reserve barrel is made from 9 month open air dried wood that is toasted prior to the charring process. This softens the barrel’s tannic acid profile and gives it a buttery, creamy vanilla note. This makes a Woodford aged craft beer so soft and smooth. Several craft breweries I have visited use various bourbon distillery sourced barrels and you can sure tell the difference between the beer aged in those and a Woodford barrel. Rob: This may be a strange question, but is bourbon your favorite spirit? If so, what takes second place? Do craft bourbon makers often drink and promote each others’ products? Is it a tight-knit group like craft brewers? If so, if the liquor store just ran out of Woodford Reserve, what are the top 3 craft bourbons that you’d hope they had available? CM: Bourbon (including Tennessee Whiskey) is my favorite spirit followed by single malt scotch. If Woodford Reserve wasn’t available I always look for the other Brown-Forman whiskies, Early Times 354, Old Forester or a member of the Jack Daniel’s Family. I prefer fully matured whiskey products and I have yet to find a craft bourbon that meets that criteria. This is due to the fact that most of these distillers have only been in business for a few years. I do not consider those brands that are using aged bourbon that they have purchased from established distilleries.